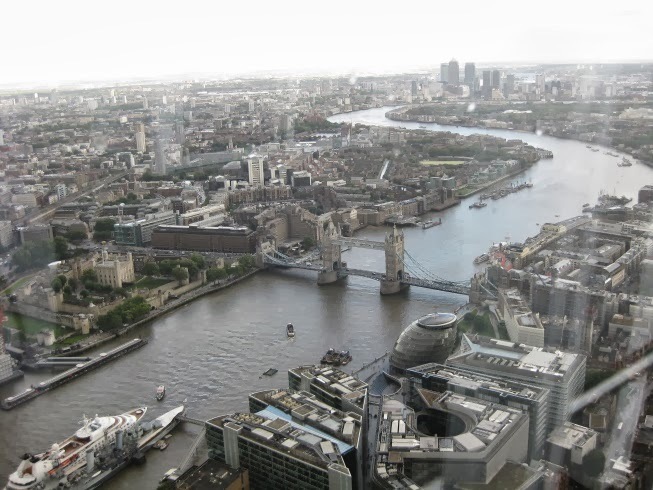 This is the view to the east of the Shard,The wide black tared road at the bottom of the image is London Bridge. The narrow bridge second from the top, is The Millenium Bridge (formerly the wobbly bridge) above that is Blackfriars, a railway bridge that has been newly refurbished, with exits either side of the Thames. The odd black panelling on the roof is actually solar panelling. The view from to the west of The Shard. With Tower Bridge in the forground. On the north bank, east of Tower Bridge, is The Tower of London. 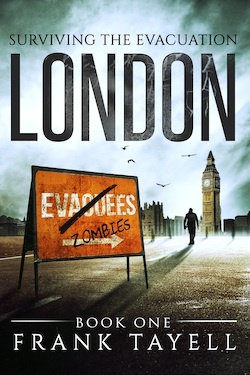 Worth considering as a refuge if you are trapped in London during a zombie apocalypse. This is the view to the south. In the top, silhouetted against the horizon, you should be able to make out two radio/tv masts at Crystal Palace, which is situated ontop of Sydenham Hill. Bill Wrights house is a short way down the hill.